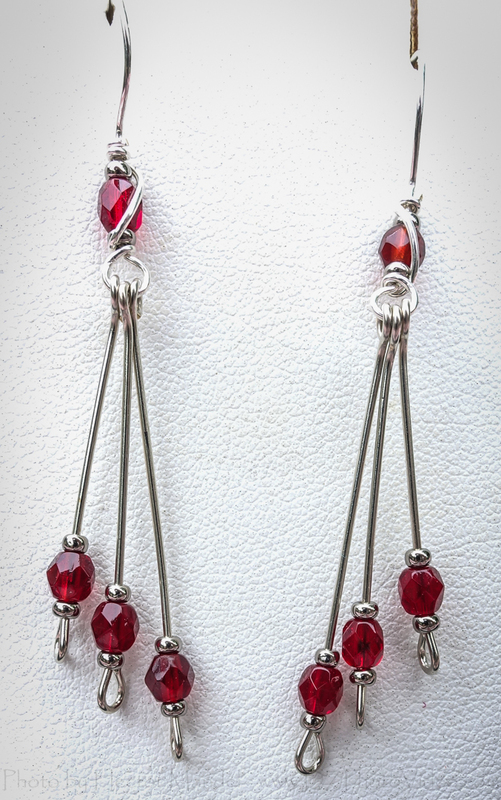 Jewelry special orders…something I both love and don’t like. When it works out the way the person wanted, it’s great. But, sometimes , the person can’t tell you much about what they want. 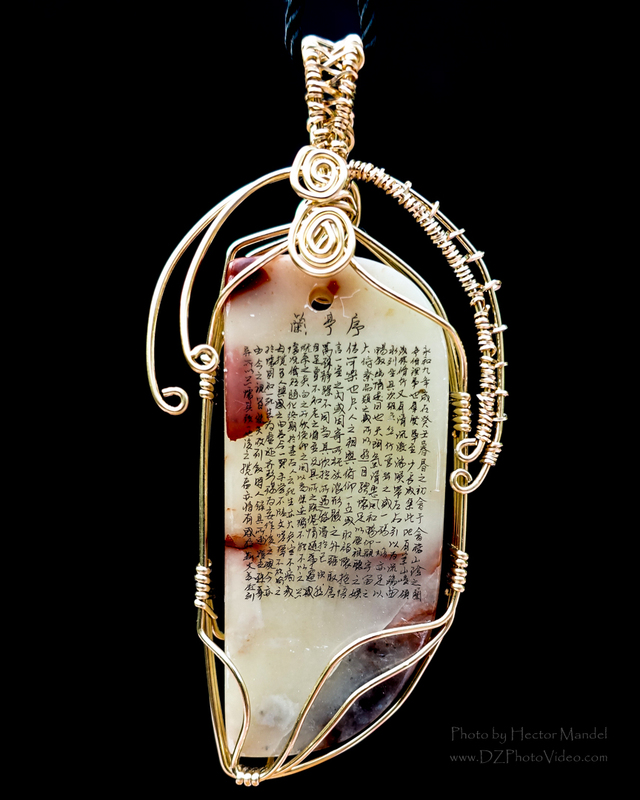 Usually it is a meaningful stone that they have had sitting in a drawer for years, always wished they could wear it, but never figured out how it should be done. I think it is a piece of soapstone. 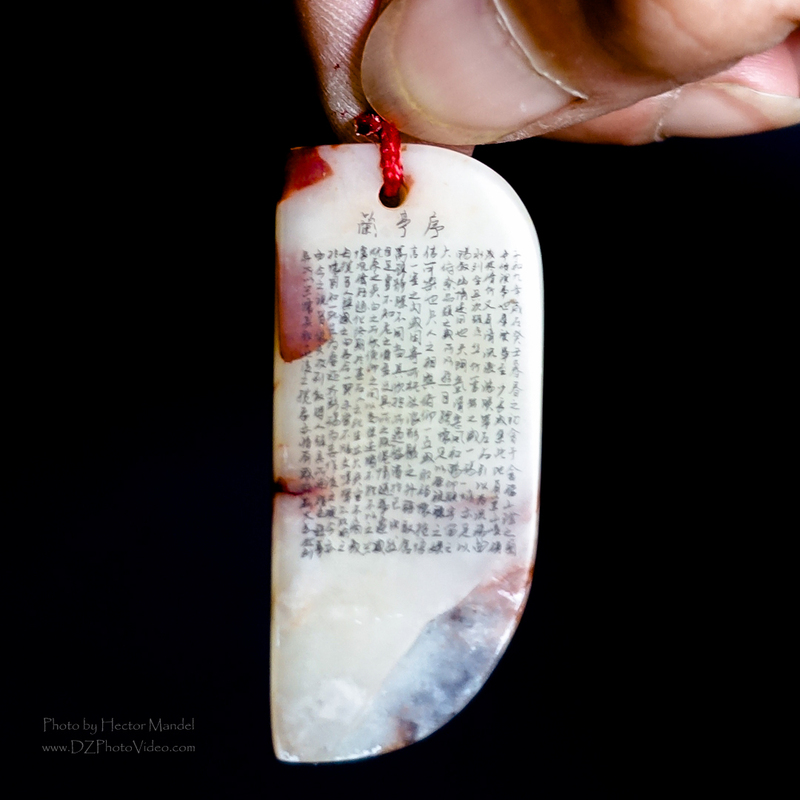 She bought from a man who hand painted the Heart Sutra onto the stone. He wrote her name on the back of the stone while she was watching. The letters are very small! The whole piece is about 2″ tall. She wanted in wrapped in gold filled wire. I usually start with a general idea of how the wire should go, but at the end, I just doodle and see what happens. This is what I came up with! 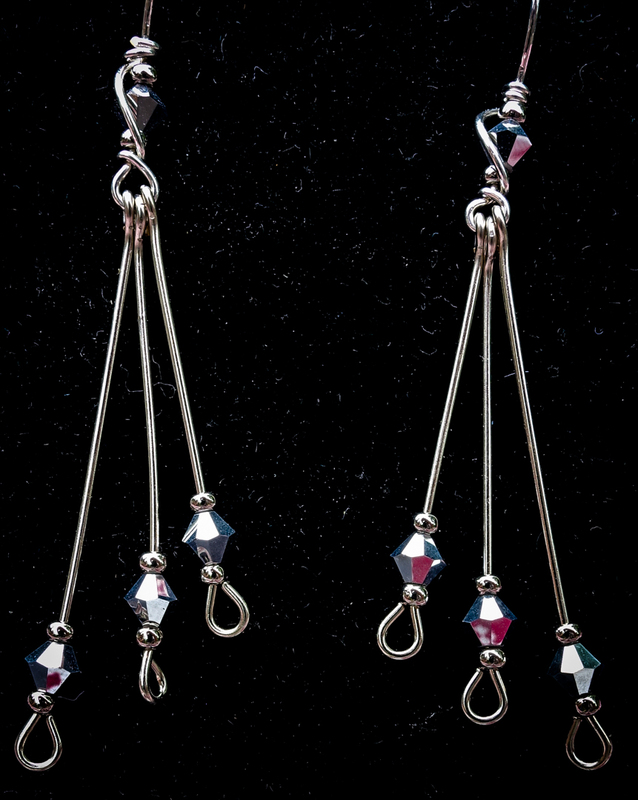 I’ve also made some new waterfall earrings. love these waterfall earrings! Wonder what the price range is for these. Shows excellent workmanship. Thank you! The waterfall earrings are $15.